Finding a quality home improvement contractor is not easy and the last thing you want to do is pick one at random to entrust your home improvement projects with. You want to make sure you are hiring a quality contractor that will complete your project properly, but there are many “fly by night” contractors out there that you should steer clear of. If you do your homework and follow the steps we have outlined below, you can hopefully narrow down a contractor that is perfect for you and weed out those that may take you for a ride. Is the Company Part of the Better Business Bureau? While being a member of the Better Business Bureau does not guarantee a company will do quality work, it is a good starting point to make sure they have not had multiple complaints. If you find one that has, or one without an “A” rating, move on. Ask the contractor if you can see examples of work they have performed or ask if you can speak to a couple of people they have done work for in the past. Do not settle for one reference – a quality contractor should have references readily available for you to contact. 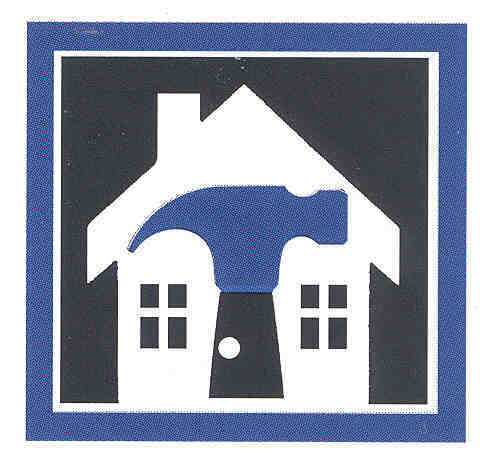 This is especially important if the home improvement project is costly. All quality contractors should be insured and their liability for accidents on your property outlined in any contract that you sign with them. You should feel secure that you are not liable for ANY injuries incurred while they are working at your home. You never know when a worker may fall off a ladder while performing work at your home. This is probably one of the most important questions you should ask your contractor. Do They Give FREE Written Estimates? Make sure that everything your contractor tells you is outlined completely in your written estimate. Notice I highlighted the word “written”?! An estimate is not a legally binding statement, but it can can help you if you run into problems with the contractor fulfilling their bid (a legally binding contract). There are many contractors who work from home or simply their vans or trucks, and for the most part, this does not distinguish between good or poor quality workmanship. There are many contractors that prefer to stay small and only hire employees per job, instead of keeping a full staff on board. However, if your contractor does not have a physical address or an office (even within their home) that you can visit, you may want to steer clear of them. Many may be those that will take your money and never finish a project. If you don’t have a physical address (one that you have visited), the chances that you will get ripped off severely increases. Will They Get the Proper Permits or Licenses? You cannot just take the word of your contractor that they have obtained all the necessary licenses and permits that are needed for you job. Ask to see them and if you question the validity of them, contact your local city or governmental code compliance person and verify your contractor has the authority to complete your project. If you are looking to add a small addition to your home, but the contractor you are considering has been doing roofs for 20 years, he is probably not the best man for the job. 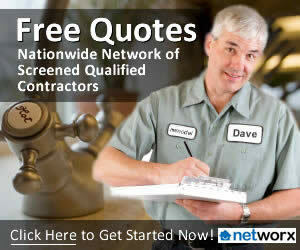 Choose a contractor that has in-depth knowledge and experience with the type of project you have. You need to ask what type of guarantees they offer in case you don’t feel like your project was up to par. These guarantees should be outlined fully in the contract and should address such things as; Are there guarantees on the materials used?, How long do I have to contact you about a complaint?, etc. Obviously, if you are going to have people working inside your home or on your property, you MUST feel comfortable with them. If you don’t feel comfortable, they can’t answer your questions, make up excuses or something just doesn’t feel right, find another contractor. We hope these tips will help you choose the next home improvement contractor you hire for your project. Some may seem simple, but you will be surprised what you may forget to ask when you are primarily concerned about the price! For more great tips, please visit the Home Improvement section of our website!